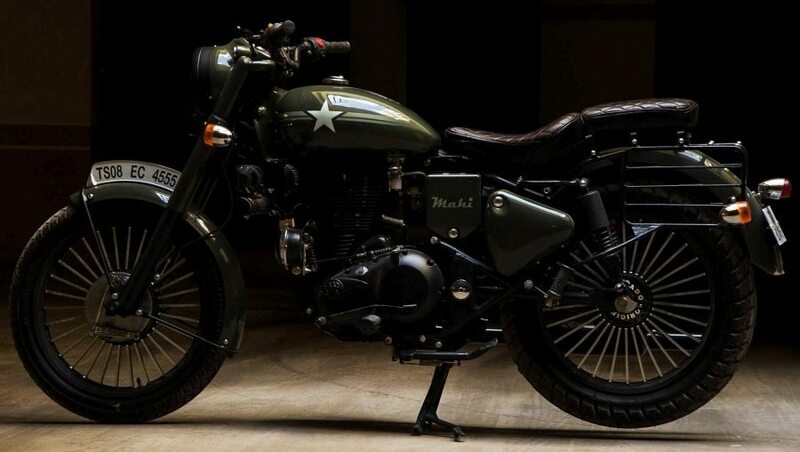 Meet Royal Enfield Bullet 350 Mahi – EIMOR Customs are back with another mouth watering Royal Enfield modification and this time, Bullet 350 Standard was converted into a beautiful retro modern cruiser named ‘Mahi’. During all of these changes, they kept the frame intact and didn’t alter the riding posture as that always takes away the older riding feel out of the machine. 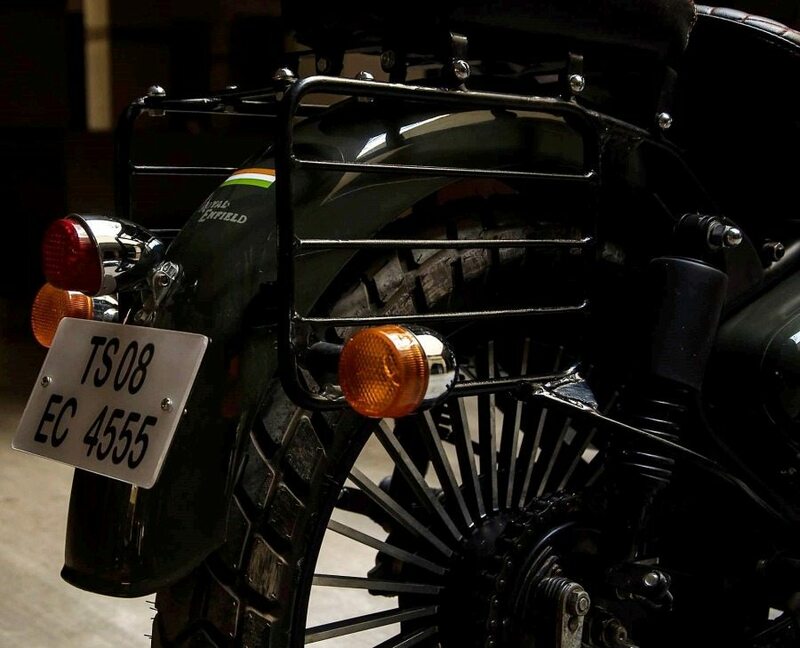 They have used an alloy wheel design that looks more like the spoke wheels, solving the problem of tubeless tyres and still keeping the bike closer to its roots. 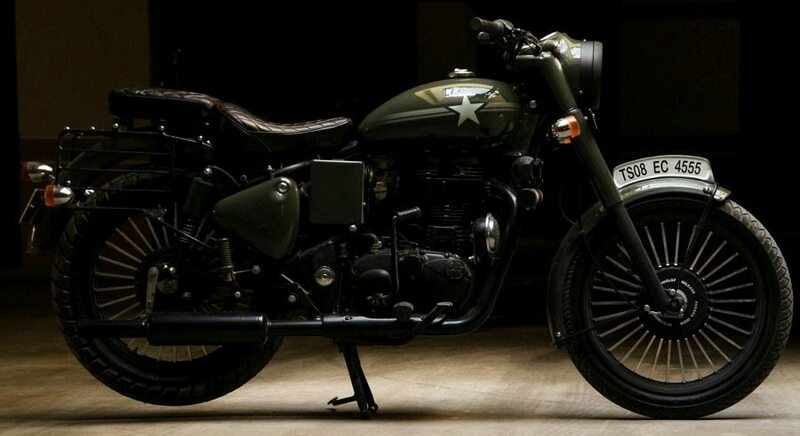 The body of Royal Enfield Bullet 350 was repainted in Army Green, further polished and finished with a star on both the sides of fuel tank. 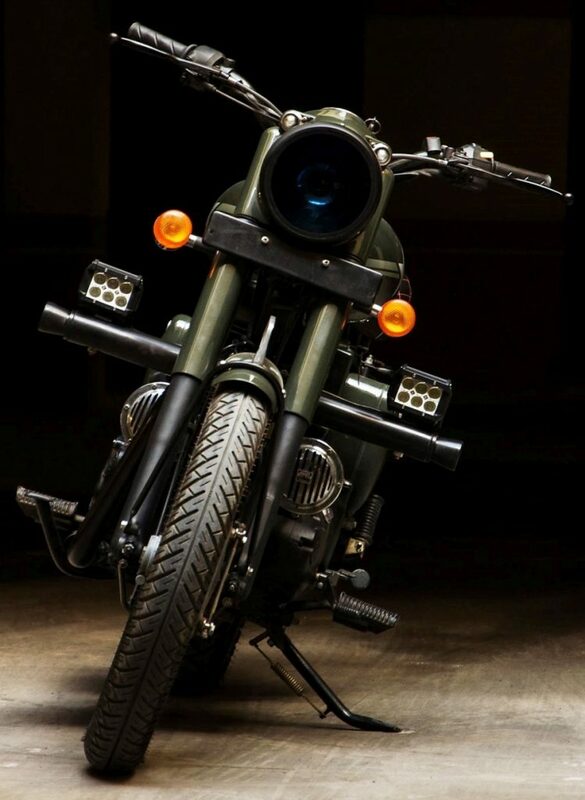 The engine and exhaust is finished in Black while EIMOR Customs kept the drum brakes intact as owner rejected the use of disc brakes on the motorcycle. The headlight cover is Black while Blue tint can be seen within the front glass. The fenders are reworked while seat is now divided into two for visual betterment. They have used dark brown diamond stitched seat covers for Mahi. 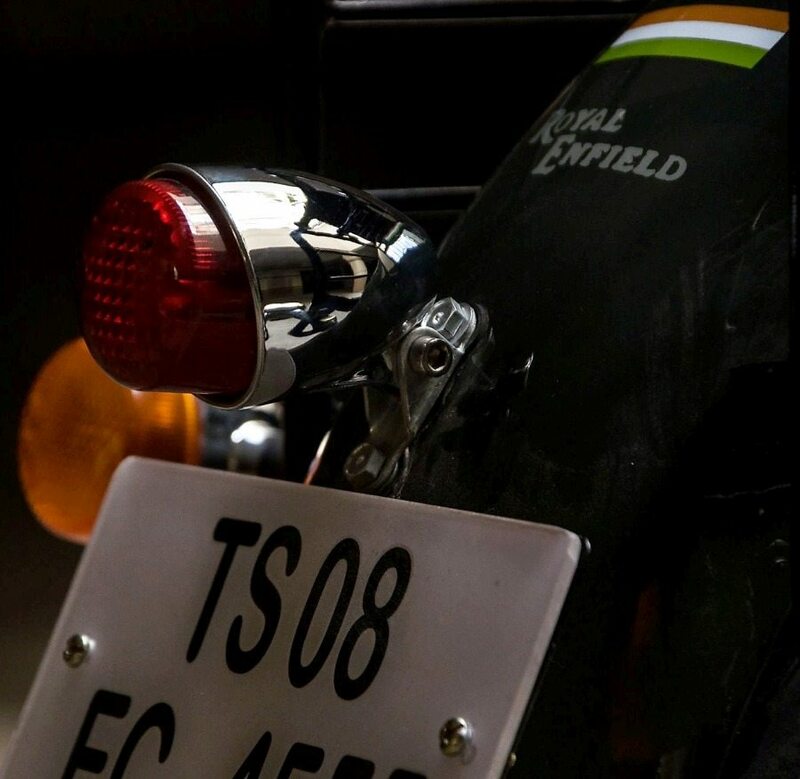 A unique saree guard with square pattern was used by EIMOR Customs on the Bullet 350. 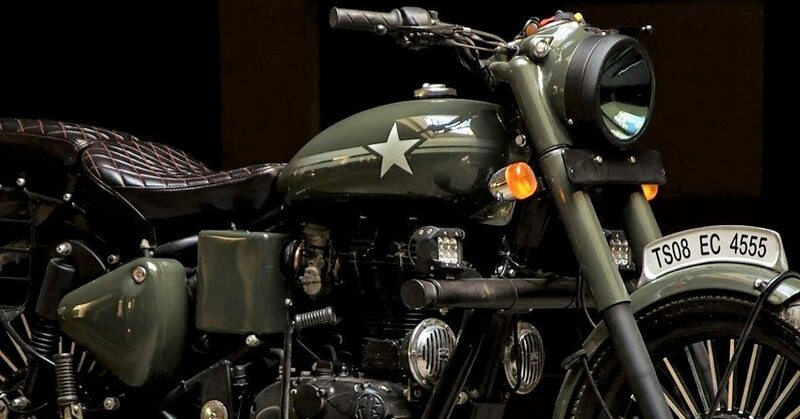 A stock motorcycle is powered by a 346cc, single cylinder engine producing 19.8 BHP at 5250 rpm and 28 Nm at 4000 rpm. The engine comes mated to a 5-speed gearbox. 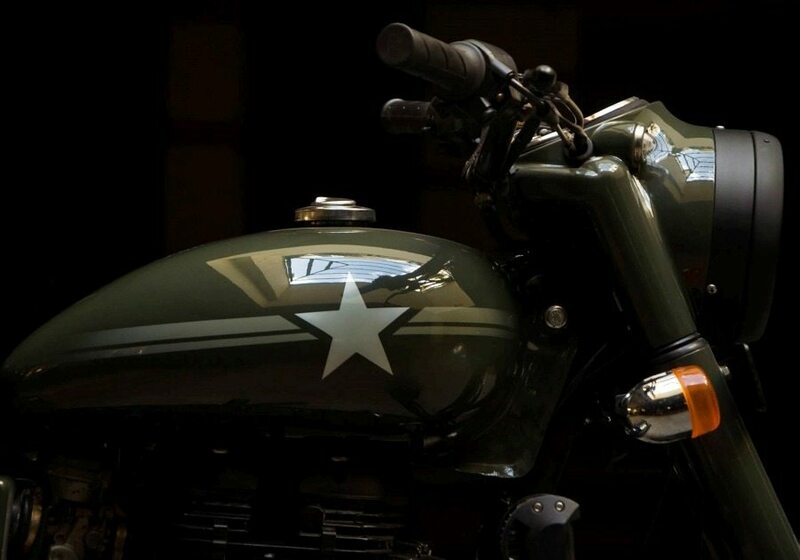 It weighs 183 kg and carries an impressive 13.5 liter, classically designed fuel tank. 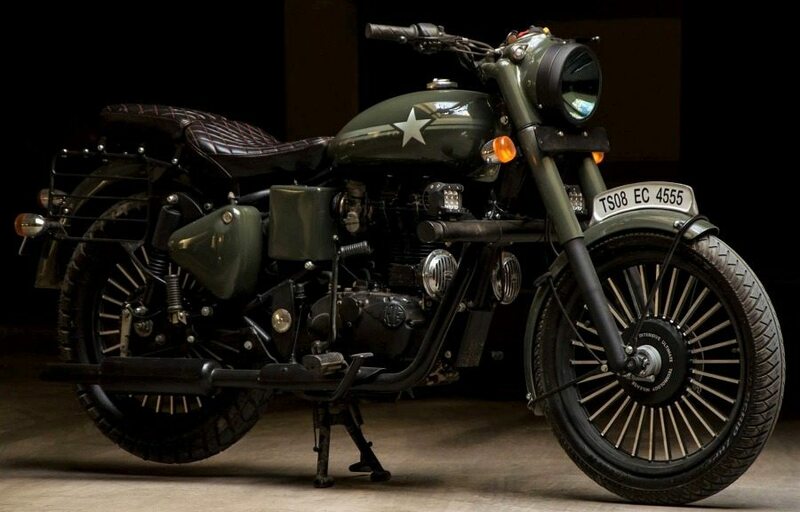 Bullet series has been in production since 1932 and comes with nearly the same design from that time. 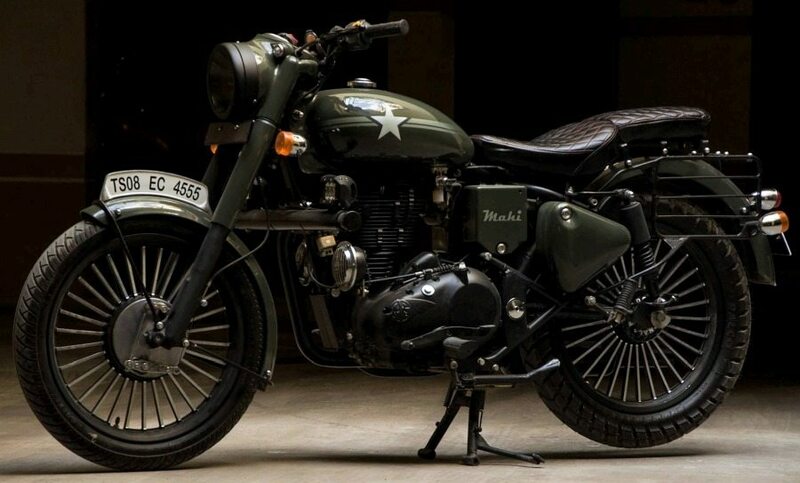 This has helped Royal Enfield claim a huge dedicated fan following in India.